My funny pig - OMG ! NiceOne ! you horrible people. how could you put up such a hurendous picture like that! 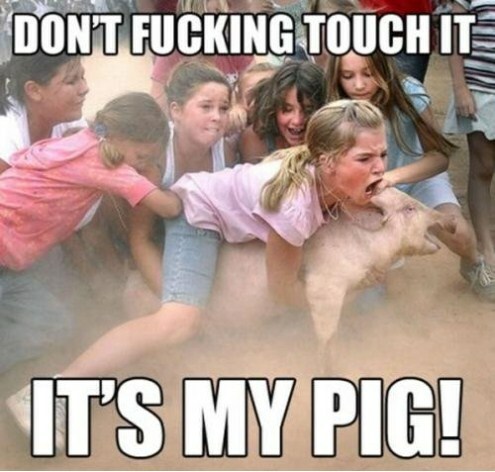 not right- someone should report-it is not giving the right messages to people and the pig looks like it is being abused! Dear reader I respect your opinion, I am also for animal rights. You're thinking that these kids something done for this pig? They are just playing .. Part of a child more frightened than the pig.. Of course if I receive more negative comments I will certainly take away this image.